Used by millions of people worldwide, Joomla Content Management System is a right choice for your business website. Also, it is an open source platform offering the amazing website development features with multi-lingual support. Either it is a website, blog, e-commerce site or an online community, Joomla suits the need of different website owners. 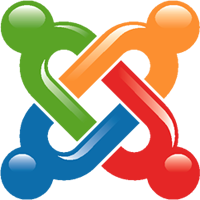 Moreover, today Joomla has great and huge community as most of the website owners have converted their PSD to Joomla. Hence, to hire Joomla Programmer is a right step to take. Come and Hire Joomla Programmer from us for your website content management. You are surely taking a wise step for your e-commerce/business website development as we have achieved excellence in web design and development. Additionally, at our desk, we welcome only highly qualified developer who is well versed with the use of website development tools and hence, our clients can cherish the unique combination of expertise and experience at our desk! Why should you hire Joomla Programmer of ours? If you want to direct submit your requirement regarding Joomla web development click here.